#155. 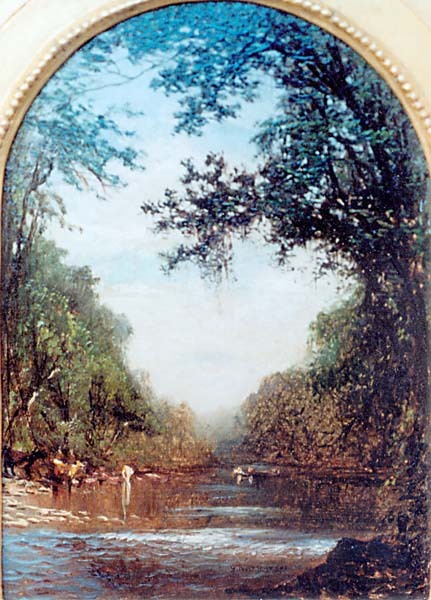 River Scene. 7 x 5.25, oil on board. "Gilbert Munger 70" lower right. From a former San Francisco dealer to a private collection in about 1988. The board has a materials supplier stamp on the back from Snow & Roos, San Francisco. 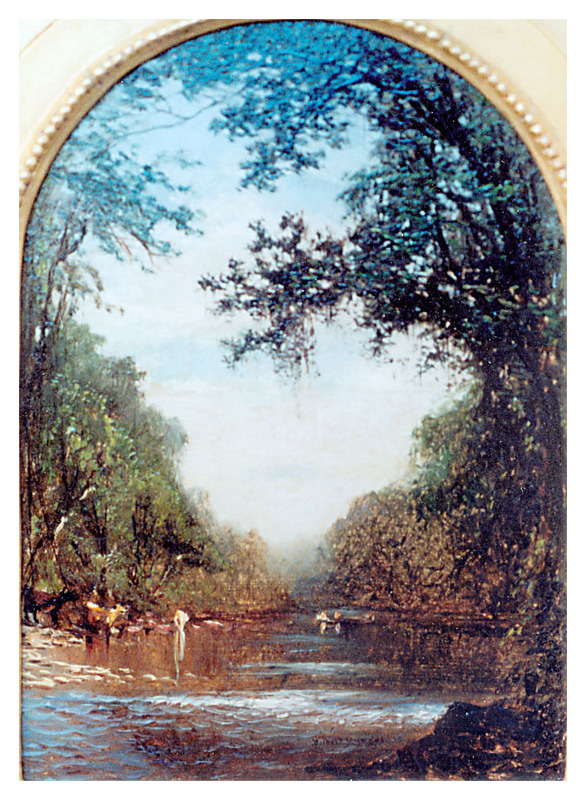 The owner believes that this work was painted in San Francisco from Munger's eastern sketches. An article from the San Francisco Chronicle of 22 Mar 1870 mentions Munger's "cabinet paintings", of which this, perhaps, is one. Image from owner's photo.